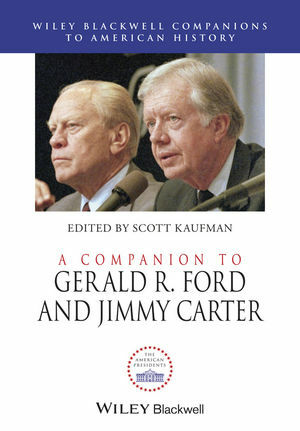 With 30 historiographical essays by established and rising scholars, this Companion is a comprehensive picture of the presidencies and legacies of Gerald Ford and Jimmy Carter. Scott Kaufman is Professor of History at Francis Marion University. He is the author of Rosalynn Carter: Equal Partner in the White House (2007), Plans Unraveled: The Foreign Policy of the Carter Administration (2008), and Project Plowshare: The Peaceful Use of Nuclear Explosives in Cold War America (2013).